We like Edinburgh a lot (having been there before), but we were VERY VERY unhappy with the way Viking managed this stop. They promise free shuttle transportation to any city that is more than a 15-minute walk, but the port of Rosyth (not where we were supposed to dock originally) is 20 kilometers from Edinburgh, and the only shuttle they provided was from the ship to the dock's terminal (which we could have walked in half the time it took the shuttle bus). Then we had to wait 15 minutes for a taxi to take us to the train station, then wait another 15 minutes for the 40 minute train ride into Edinburgh. (The price on this was about 60 pounds for two people.) 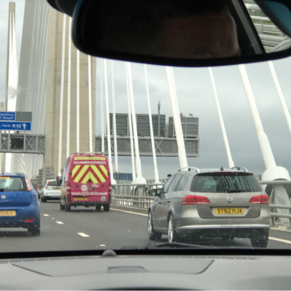 So between having to spend 1-1/2 to 2 hours each way getting to Edinburgh, and leaving port an hour earlier than advertised, we had less than three hours in Edinburgh. This was not enough time to do much of anything!!! VERY VERY upset, and when I voiced a complaint, I was told that they did indeed offer a shuttle to ROSYTH. 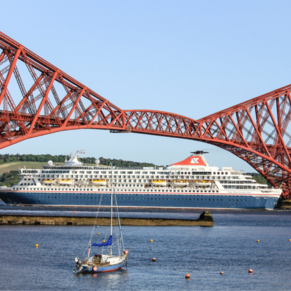 They don't sell Rosyth when they sell the cruise, they sell it as a stop in EDINBURGH. This was totally unacceptable. We talked to a LOT of other people who were just disgusted with Viking's handling of Edinburgh, both people who got into the city on their own, like we did, or took shore excursions. Arrival time was late and the visit time to this city was shortened due to sea fog that prevented tender operations starting promptly. Our guide was not particularly good. Day 2. Did not want to go into town. Hired a taxi. Went to the country. Saw rolling hills, cows and sheep, villages etc. great experience. Don’t waste time on ship excursions. Do your own! Moored at Newhaven, which is far from downtown, and needed very long tender. Included tour was not up to par. Edinburgh is a great place to visit. There are currently 0 discussions about Rosyth (Edinburgh), Scotland.